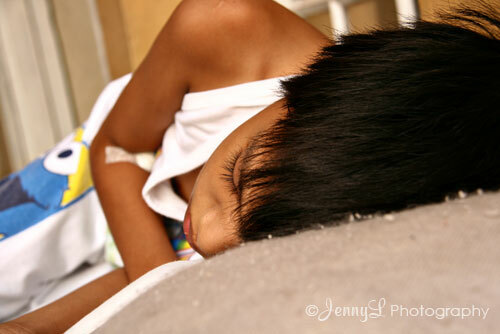 Jenny Talks: My Nephew is Sick Again! My Nephew is Sick Again! This is my poor 11 -r old nephew Dither who is sick again (he's always sick!) since Monday. He vomits most of the times and complains of pain in the lower part of his navel. We suspected that he has UTI but lab results it's negative. 2 years ago his life was 50-50 when he got sick of Dengue fever. I hope he'll be fine and he'll be spared of a more complicated ailment. He was brought to the specialist yesterday so that more intensive tests will be done to him and he was known to be acidic so he must stay away from softdrinks, instant juices annd he was told to drink yakult and yogurt.